The more I manage projects the more I realize that while it is simple it is not necessarily easy. Yes, I know. If you’ve been managing projects you know this already. But allow me to share my thoughts. What’s the objective of project management? To deliver the results of the project (product, service, etc.) to a satisfied customer. Yes, there are other constraints (time, budget, scope…the golden triangle). But sometimes we focus too much on these three at the expense of the ultimate goal: a satisfied customer. If we focus on that goal, the rest is simple. This is why it is not easy. So what do we do? We focus on the goal of satisfying our customer and respond to all other challenges by framing them around this goal: how do we respond to this challenge in such a way that gets us closer to the goal? Thinking this way may lead us to what some think are counter-intuitive responses such as when some things slip. If we only react to the slip without assessing the impact to the goal we may overreact. I have faced this situation and by asking this exact question have realized that it was not a crisis. 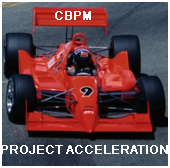 I continue to apply CBPM in my current work while at the same time using Scrum for our software delivery. CBPM addresses those situations that are not as easy to adapt to an iterative approach. It continues to amaze me how effective CBPM is at getting projects planned and to successful completion. One of my current projects has over 370 deliverables, not including the user stories for rewriting the application, which are being managed through Scrum. Yet the project is doing extremely well and is on schedule. CBPM and Agile methods are not deterministic but adaptive. That is, we as planners and team members, know that whatever plan we make will change. With that in mind we only plan enough to get us going and to more or less know how long it’ll take us to get there. We re-plan on a regular basis to adapt to changing conditions. By not planning in detail we avoid waste (lean concept) in planning for items that will change. We use the entire team to plan the effort. There’s no “mind behind the curtain” approach to doing planning. In this way we get many minds looking into the problem, identifying things that otherwise would have not been identified until much later. Also, we leverage the expertise of those who are going to do the work. We focus on what’s important: delivering a product to a customer. Task analysis are optional and typically up to the individual doing the work. While Scrum encourages team to decompose tasks and assign hours to them, tracking the work that remains, this is not a necessary activity. In CBPM there’s no focus at all in effort as the owner of the item is responsible for figuring out what needs to happen and getting it done by the committed date. Transparency: in CBPM and other Agile methods it is clear who owns an item and where it is. There’s no hiding behind complex Gantt charts. Ownership is clear. Status is clear. The PM is no longer the center of activity. In CBPM owners and users of deliverables need to talk to each other. In Agile the entire team is responsible for the delivery of a successful product. Reporting and accountability are where they should be. There’s a clear definition of what “done” means. In CBPM the owner and the user of a deliverable need to agree on what being done means. In Scrum every team has one or more definitions of done (user story, iteration/sprint, release, project). BTW, 99% done is not done! There are probably numerous other reasons. Add yours! BTW, both a one-day CBPM workshop and a two-day Scrum/Agile Project Management workshop have been scheduled for July in the Research Triangle Park area of North Carolina. Come join us if you want to learn more about these approaches. Just finished reading The Lazy Project Manager and the Project from Hell and I’m planning on reading the predecessor, The Lazy Project Manager. It stroke me that a Lazy PM is a lean PM. Here’s why. Throughout my career I’ve realized that maximizing the amount of work not done or, in other words, not doing what is not absolutely necessary is essential to keep my sanity and deliver on our projects commitments, was key. I called myself “lazy”. So, when I saw these books I thought I had found corroboration to what I do. And, yes, that is the case. But there’s another, more PC-way should we say, way of looking at it: it’s call Lean which is the hot buzzword. Let’s see what lean says with respect to work: eliminate waste. That to me sounds like the same thing. So I guess I’ve always been a Lean PM (even if my weight is less than ‘lean’) even when I called myself lazy. Time to adjust my labels! BTW, the first book is/was free at Amazon. It has some good info but it’s also a marketing tool for their Lazy PM and the Project from Hell workshop they sell. Forewarned. Agile has exploded into organizations doing software development. Scrum, XP, and other methods (and combinations) are used by many organizations. Non-software organizations use approaches such as CBPM (see my other posts). Recently I joined an organization that had brought in Agile (mostly Scrum) a couple of years back. While most projects were using this approach, there was no energy behind. In what is a common approach, they had launched it and left it to its own devices. Still, teams were successful with higher quality products and more satisfied customers. But management and the people in the organization thought there was more to be done. Enter Jose. I started by assessing, along with a small team, of the situation. We ran an internal survey to confirm our findings. The #1 finding was the need for training. But how to bring the training in with limited funds? And what else to do? We decided to deliver short (1-2 hour) sessions on specific Agile concepts (writing user stories, using Rally, our software development management tool, estimating and planning, etc) as well as doing some longer sessions (I had done a day-long session outside so brought that one in). Attendance is very high, with no empty chairs. We’ve scheduled an external vendor for a two-day workshop for product owners. And we’ll be launching a coaching program in the near term. Response has been very positive and we look forward to improved results. A friend sent me a note today asking for a few minutes to talk about the future of project management. We are scheduling the time to talk, but his message and some of the insights he provided got me thinking. He indicated that Gartner is seeing a leveling off of demand for project managers and an increase in demand for program managers. Why? Well, I think the bloom is off the PMP (Project Management Professional) rose. Too many projects continue to struggle if not outright fail even with PMPs at the helm. The PgMP (Program Management Professional) rose is just budding (New and Improved!) and I guess people feel that program management is what is needed to make projects successful. But, is that the case? Not only is an encounter with reality detrimental to a project plan, but there are those agents (people!) who many times don’t follow the prescribed plan! So, since PMPs are not successful, let’s go with PgMPs that have a much harder job to do (as per PMI, a program has two or more projects and possibly some operations that managed together provide more benefit than managed independently). Do we think they’ll be successful? Personally, I do not. Those of you familiar with my writings know that I prefer adaptive, flexible, Agile plans (Scrum and other Agile methodologies for software, CBPM for non-software as well as software projects where more “traditional” Agile approaches are not possible) to prescriptive, predictive plans. You also know that I put a lot of value on leadership. Even though Scrum teams are supposed to be self-leading, a leader is still key to provide the space necessary for them to be successful, whether it is a ScrumMaster or upper management. In my view, project leadership is what is needed and what will start taking a much more significant role. This may not be good news for those who rely on the tools of project management but it is what is necessary to be successful. But remember, soft skills are very hard to acquire and use successfully! Yesterday I had the honor of speaking at a graduate-level class of Prof. Salah E. Elmaghraby at NC State University. Most of the students were mathematicians or engineers by training. All of them are in Operations Research and had recently discussed PERT/CPM approaches to project management and how to reduce uncertainty. Prof. Elmaghraby asked me to talk to his class as a practitioner of project management and to comment on my experience as compared to the theoretical approaches that most students are exposed to. After discussing my career, I quickly reviewed Commitment-Based Project Management (CBPM), an approach I’ve written about here before. CBPM relies on the team members making commitments to deliver “deliverables” (actual items) to each other and eventually to the customer on the date they commit to and to the level of functionality agreed-to with their “customer”. The project manager enables these commitments and facilitates the planning and tracking of them but stays away from the details (i.e., tasks). In addition, the PM encourages owners and customers to talk to each other rather than rely on the PM to play interference. Prof. Elmaghraby found the approach interesting and refreshing as it acknowledges that there’s uncertainty and deals with it by planning just enough to move forward and committing to near term items while estimating when the overall effort will be concluded (but not a commitment). I found the opportunity to speak with these graduate students very valuable and beneficial by having to explain a different approach to sharp students. There’s definitely more to project management than the standard approach and much more research on effective methods is needed. I was glad to make this connection and look forward to future discussions with Prof. Elmaghraby and his students. Tonight I had the privilege of having dinner and catching up with a co-worker from Intel days: Rich Poliak. Rich spent numerous years at Intel in manufacturing and IT, among other roles, before switching careers to launch a restaurant. He now wants to share his quality expertise (see his site at http://solutionelements.com/). I knew Rich mostly during my time running Intel’s Y2K program. While it ended going out with a wimper, Y2K could have gone out with a bang. From the beginning we knew our highly automated factories would not transition smoothly. We had equipment that even after the program rolled out was coming in with issues that would have stopped our factories. As the technical assistant (TA) for Mike Splinter, then head of the manufacturing group at Intel and now CEO of Applied Materials, Rich was instrumental in making sure that the factories fixed all of their issues. After Y2K Rich moved on to data quality and other roles at Intel. Having dinner with Rich makes me want to run a project with Rich and others who I’ve worked with throughout the years who I know can do an excellent job. Do you have such a team? I do and it’s not just Rich but a number of other people. Hope we have the opportunity to work in a project together again but, in the meantime, if you need help with quality efforts, let Rich know. He’ll do an outstanding job for you. I have another blog on leadership and I’ve just posted a new blog there. See it at http://leadership-topics.blogspot.com/2009/10/project-management-should-it-be-project.html. I spoke last Monday (9/28/09) at North Carolina PMI’s Annual Event on Commitment-Based Project Management (CBPM for short) and the impact it can have to accelerate projects. With close to 100 people in the room, there was lots of interest on this approach. As many of you may know, CBPM is based on work done at Intel to develop its semiconductor chips. Faced with a vicious cycle of commit-fail to meet-decommit in its projects, a different approach was taken by the chip set business (chip sets are the supporting chips for the microprocessor — without them, new microprocessors cannot go to market. Hence their criticality). Timm Esque in his Excellent No Surprises Project Management, describes the situation and how it was overcome. For those of you in LinkedIn, there’s a group called “Project Acceleration thru Commitment-Based Project Management” that you may want to join. Also, in my profile, I have posted a presentation and a file describing the approach. Go to http://www.linkedin.com/in/josesolera to access. Out of this 100 or so people who attended, 18 have requested my Excel spreadsheet used to manage the approach (if you want a copy, send me a note at jose.solera@pmlead.com). The spreadsheet makes it easy to track deliverables by highlighting who owns each deliverable, when are they committed to delivering it, who uses it, and what’s the status. A few other capabilities, such as SPI and CPI as well as a Performance Against Commitment (PAC) chart are available with it. It was refreshing to see the amount of interest on this approach, an alternative to the more traditional project tools. Maybe you want to give it a go?